Close proximity and good connectivity to the national capital and international airport have made Gurgaon one of the most preferred destinations for property investors as well as settlers. Over the years the increasing concentration of prominent companies in software, automobile, garment, IT and BPO sectors, coupled with the emergence of five-star health and education facilities had catapulted Gurgaon to the status of a "millennium city". The real estate industry has raised concerns over the continuous rate hikes by RBI, saying that the move threatens the growth of the sector and will probably be counterproductive. The Maharashtra Government recently announced that it would now offer for a premium additional floor area for construction in suburban Mumbai. “The government will give an additional 0.33 per cent floor space index (FSI) for a premium,” Chief Minister Prithviraj Chavan said recently. No garden is complete without the beauty of cactus and other succulent plants. Gardening enthusiasts always add these in their collection as these plants are not only hardy and low on maintenance but also add an exotic aura to a garden. 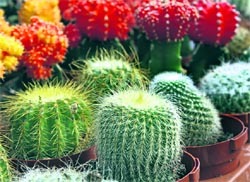 All cacti are native to Americas and are among the most popular group of houseplants. They have been made to acclimatize to the local environmental conditions and many of their lovers are cultivating these plants successfully around the world. However, by and by, the poor public infrastructure and amenities began to put off the dwellers/ investors and the swelling bubble was punctured as the growth curve reached the saturation point. Then came the post-disillusionment era wherein the government as well as private developers chalked out big-time extension plans. These included the development of a host of new residential sectors, industrial clusters, commercial and office complexes, leisure parks and so on. 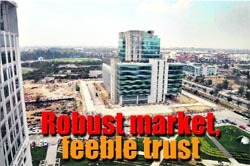 Manesar has gradually grown into a major industrial hub. Even the hitherto sleepy townships like Dharuhera and Bhiwadi have started to look up as Gurgaon's spillover industrial units found some space there. Sensing an opportunity a number of top notch builders have now moved in with some high end as well as affordable projects and commercial ventures which are attracting substantial investments in residential property owing to competitive rates. Upcoming superhighways like Dwarka-Manesar and KMP expressways in the vicinity also promise rosy prospects to the prospective consumers. But here came a major dampener: Consumers' lack of trust in the developers. The rising distrust, however, is not without a reason. Numerous delayed projects, hollow claims and unkempt promises have pushed the builders to a corner and the consumers refuse to believe them anymore. Thanks to such a climate of distrust created by developers' shortsighted approach of targeting short-term gains, a majority of new projects have failed to pick up post-launch despite good locations and bright prospects. These include projects along NH-8 and the new Dwarka-Manesar Expressway. On the other hand, Faridabad also looks promising due to its improved connectivity with Delhi. The nagging traffic jams at the Badarpur border have been eased with a flyover and Metro is all set to be operational in the city. The over-supply of residential units, especially in the trans-canal area of the city, however, tends to take some sheen off the vibrant scene. In this aspect, Gurgaon does have an edge over Faridabad and other satellite towns/cities in the national capital region (NCR). Controlled supply here keeps the demand constant, thus preventing a major dip. "In the present market scenario, the Gurgaon-Bhiwadi belt has a positive outlook and there is no oversupply in the market. However, many developers are consolidating their land banks and the existing inventory. Exclusive offerings are increasing in many segments of Gurgaon, despite market players being cautious about the new launches," maintains Navin M Raheja, CMD, Raheja Developers Limited. 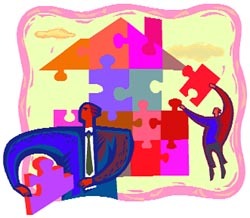 Vineet Singh, business head of online real-estate portal 99 acres.com, observes that as of now, Gurgaon property market is robust and the future growth prospects are also decent, though not outstanding. As regarding the atmosphere of distrust, he asserts that the established builders having sound credentials and land bank will now reap the benefits. Col (retd) Prithvi Nath, convener and honorary secretary of the Real Estate Development Council, Haryana, also claims that Gurgaon has been the hottest property arena in the NCR, and continues to remain so. Sanjay Sharma of real-estate exchange Qubrex opines that after many years of false starts as an affordable housing destination, the Gurgaon story may now be coming true. "Investment in Dharuhera and Bhiwadi appear to be a good idea, especially in a long-term perspective. Rates in this belt are also quite competitive, almost comparable to those prevailing in trans-canal Faridabad," he remarks. Harvinder Mathur, MD, Expertise India, points out that the projected demand for property has pushed the periphery of NCR in all directions. He maintains that among the most sought-after destinations, areas along the NH-8 have surfaced as sound-investment option. "Bhiwadi is part of the NCR Plan-2021. Already home to more than 2,500 industrial units, it is an emerging industrial hub. Direct approach to NH-8 and the resultant connection to the eight-lane road from Gurgaon to Mumbai, link to the Japanese Corridor intersection, proximity to the Indira Gandhi International Airport and affordability make it a sought-after destination," notes Dr. Prodipta Sen, executive director (marketing and corporate affairs), Alpha G:Corp.
His views are endorsed by Kailash Gahlot, director, Brisk Infrastructure and Developers. He recalls that at Bhiwadi, where land was sold in acres till a few years ago, now one just has the option of buying apartments in posh condominiums. It is in such a way that the winds of change are blowing through the concrete jungle-maze on this side of the NCR. The latest hike by RBI will cripple the real estate industry, Maharashtra Chamber of Housing Industry (MCHI) President Paras Gundecha said. "The real estate industry serves as backbone of the economy as it contributes to survival of hundreds of other industries. It is capital-intensive and highly employment generating. But unfortunately the latest RBI hike will impact the industry negatively," Gundecha said. "The already slowing demand will only get further dampened with this hike. Genuine customers, already burdened with high interest rates, will be further discouraged." What will be the long-term capital gain? What will be the tax liability? How to save this capital gain from tax payment? Is the capital gain to be included in the pension income for tax purpose or it will be taxed separately? About Rs 8 lakh from the capital is to be used for the purchase of another plot and can the remaining amount of capital gain be used for other payments if I pay the tax on that amount of capital gain. Can this capital gain be deposited in the old savings account? The amount of long-term capital gain on the basis of figures given in the query would be Rs 13,63,281. Tax payable on the said long-term capital gain would be Rs 2,80,836. This has been computed @ 20.6% i.e. 20% basic rate chargeable on long-term capital gain plus 3% education cess. The amount of tax payable can be saved in case the amount of Rs 22 lakh less expenditure, if any incurred wholly and exclusively in connection with the sale of plot, is utilised for purchase or construction of a residential house. The purchase should be affected within one year before or two years after the sale of plot. The construction should be completed within three years after the date of sale. So much of the amount as is not utilised for the above purpose before the due date of filing the tax return for the year in which sale took place, should be deposited in a bank account under capital gain scheme. The amount so deposited can be utilised for purchase or construction of the residential house within the period specified above. Alternatively you can also save tax on capital gain by purchasing tax saving bonds for Rs 13,63,261 (i.e. amount of capital gain) within six months of the date of sale. These bonds have a lock in period of three years. The amount of long term capital gain of Rs 13,63,261 is includible in total income but is taxable at the rate as specified herein above. The balance amount of income would be chargeable on the applicable slab rates. However the benefit of the maximum amount up to which is not chargeable to tax is available in case capital gain and the other income do not exceed such limit applicable to a resident individual or a HUF. The amount of Rs 8 lakh is not deductible for computing tax on capital gain. No exemption is available from chargeability of tax on capital gain in case the amount of net consideration is invested in purchase of a plot of land. The amount of capital gain can be deposited in a savings bank account but you would not be able to claim any exemption from the taxability of long-term capital gain. Q. We are six brothers and two sisters. While three brothers and two sisters are married and have children who are unmarried and live together, three brothers are unmarried. My father and his only brother had inherited some agricultural land. Our father and uncle died intestate and our uncle had given his share to us six brothers before his death. Our two sisters had surrendered their share. Some agricultural and was purchased by our father and uncle in their names and the same was transferred to us. A portion of land was also purchased by our father and uncle from agricultural income but in the name of us brothers. Can this land be treated as Benami when brothers have no separate source of income. Now the three unmarried brothers have made Wills in the name of two of their nephews. Can their Wills be contested? Can sisters re-claim their shares from the unmarried brothers? Agricultural land purchased in the name of your brothers should not be treated as Benami property. It should be a case of gift to six brothers by your father and uncle. I presume that all of you were major when such land was purchased in your names. In case the property (agricultural land) stands mutated in the name of your unmarried brothers as individual property, it may not be possible to contest the Will unless it can be proved that such Will was obtained by fraud or coercion. It may not be possible for your sisters to rescind the relinquishment at this stage as the same was made a few years back. The issues involved have civil law implications. I would, therefore, advise you to consult a civil lawyer. Q. My daughter-in-law's brother gifted his property during 1998-99. 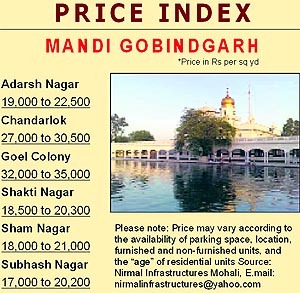 This property was purchased by him during 1985-86 for Rs 8.5 lakh and it has been sold for Rs 56 lakh in 2011. Kindly intimate the long-term capital gain earned and the tax there of, if any. A. It should be possible for your daughter-in-law to claim the indexation from the year 1985-86 till the year of sale in view of a decision of income-tax Appellant Tribunal Mumbai (Special Bench). On the basis of said decision, the indexed cost would work out at Rs 50,16,917. The amount of a long-term capital gain would thus work out at Rs 5,83,083. Tax payable thereon would be Rs 1,20,115 @ 20.6% (20% + 3% education cess thereon). Q. I am grateful for providing correct definition of the category in which income from a self-leased house should be placed. However, the reply has also created some confusion in my mind. As per the correct definition, such income should be treated as a perquisite, otherwise the company would attract penalty. However, at another place it is mentioned that "further amount of rent received from the company would be taxable as income from house property in your hands". Does it mean that the income will be taxed twice i.e. once as perquisite and then as income from house property? Is it not against the basic tenets of income tax that a rupee taxed once cannot be taxed again? A. The taxability is arising twice because you are getting two benefits - free unfurnished/furnished accommodation as well as rent for the house which is being paid to you by the company. There is thus double taxation involved in such a case because of two benefits being received by you. Q. My dad was gifted property by his father (my grandfather) in 1972. But after his death I and my mom inherited it. We got sanctioned permits for residential purpose from Municipal Corporation in 1982 and 1994 but could not construct on it and the plot is lying vacant still. Now the property has come under commercial purpose use area and I want to sell it. I want to know if this property will come under inherited property and whether the sale proceeds will be taxable or not? The vacant plot would be treated as inherited property. The vacant plot measuring more than 500 sq. m of land would be exigible to wealth tax. Wealth tax is payable by an individual in case the value of assets exigible to wealth tax exceed Rs 30 lakh. You and your mother would be liable to pay tax on capital gain arising on the sale of the vacant plot. Both of you would be entitled to substitute fair market value of the plot as on April 1, 1981 instead of the cost price and claim indexation for cost inflation index for computing the amount of capital gain with reference to the indexed fair market value. Each one of you can utilise the net consideration arising on the sale of the plot for purchase or construction of a residential house within the prescribed time. This procedure can enable both of you to save tax on the capital gain arising on the sale of the plot. Alternatively, each one of you can invest the amount of capital gain in acquisition of tax saving bonds. Such investment has to be made within six months of the date of sale. These bonds have a lock in period of three years. You can take a decision with regard to the sale of plot after taking into consideration the points explained herein above. The first gang that you will engage is the building work gang. This gang does all the work of excavation in foundations, laying of foundations, RCC work, brickwork, plaster work, terracing, boundary walls, stairs, water tanks and lean concrete below the floors. In a nutshell all the work that involves the use of cement is performed by this gang. Such gangs normally ask for a fixed labour rate per square foot of covered area of each floor of the house. It is better to clear the exact number of items included in their contract in order to avoid dispute in later stages. Bar binders are the skilled men who straighten the steel bars received at site, cut them as per given sizes, shape them as per cranks or hooks shown in the drawings and put them in place inside or over the shuttering plates. The bar-binders may be a part of the building work gang too. But one should prefer to engage them separately. A building work contractor often charges full rate for bar-binders from the house builder but pays lesser to them resulting in bad workmanship by them. When engaged separately, bar binders provide satisfactory service. Another gang to be deployed initially is the water-bore gang. Water is a primary requirement for the construction of a house. Normally, a water source is not available to a house builder. In such a case, he should go for a deep bore well and have a submersible pump and a motor at site to draw water. Specialised gangs that carry out the work should be hired for this purpose. These gangs normally charge a rate per running meter of the depth of the bore. The water bore should be carefully located to make its use on the completion of the house also. The location shouldn’t interfere with the building area. This gang also needs to be commissioned initially. This gang does the pre-construction termite treatment at site during the laying of foundations. 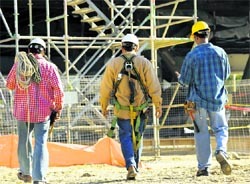 Thereafter, this gang keeps doing its job as and when required during the progress of construction work. The next gang to be deployed is the carpenter gang. This is the gang that consumes the maximum time during house construction. Almost all gangs hired before or after the hiring of this gang leave the site after doing their job but the carpenter gangs’ work never seems to be finishing. There comes a time when the house owner is almost tempted to force them out. However, the best look, utilisation and storage space to the house is added by this gang. One may reduce the time taken by woodwork by buying ready made shutters. Yet a lot of site work has to be done by the carpentry gang. The next gang to be hired is the plumbers gang. While the carpenters are hired early because their job is long and time consuming, the plumber gang is required initially to lay sanitary pipes and fittings for the toilets and kitchen. In addition, this gang does the threading work of water supply pipes and keeps adding various sanitary and water supply embedment(s) as the construction of the house progresses. Electricians enter the site almost parallel to the plumbers as they have to provide many inserts like the conduits for electric and other wires, switch boxes, junction boxes, fan hooks etc. They need to be present before the laying of RCC slab to check whether all the conduits have been properly embedded in the slab and all fan hooks are rightly located. Thereafter, their work continues till the finishing of house as many lighting appliances are among the last items to be installed. Though use of bitumen layers for water proofing is debatable, bitumen continues to be used in house construction since ages. Bitumen is laid over DPC, under the first floor toilet floors, on the bearing plaster and on the roof. This gang makes its entry on the completion of plaster work and after the laying of sand and lean concrete layers in the floors. The final floor finish is provided by this gang. This gang has to be extremely skilled in providing dead level to the internal floors and in fine finishing the joints of marble slabs or tiles laid in the floor. For wooden flooring, the flooring gang is sent by the supplier of wooden floor as the job of wooden flooring is assigned as a complete ‘providing and fixing job’. The flooring gang hired by the house builder lays other type of floors like marble flooring, tile flooring, terrazzo flooring etc. POP work is done the ceilings and walls for beautification. This gang is mostly hired after the laying of floors but before giving final finish and polish to the floor. Lots of POP falls on the floor during the job and care has to be taken to save the floors from its deposits by laying papers or some sheet on it. POP work gangs are skilled in their work and demand a lumpsum amount for the job after examining your house. 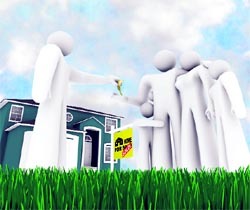 The painting gang takes over the work of internal and external wall finish of the house. The type of finish and the colour scheme are got selected from the house owner. For wall paper work, separate gang skilled in fixing of wall paper is hired. Polishing of wood is done by a highly skilled gang and this gang should be selected after doing a thorough exercise. Fixing of glass in windows is normally done by a separate gang skilled in this particular job. Such gangs are available with the glass supplier. This is the last item to be handled. The grill maker supplies the grills as per the required size and the grills are fixed by the carpenter gang or separate workers engaged for this work. The fixing of main gate of the house should be left to the person who has fabricated and supplied the main gate. FSI, an abbreviation common in Mumbai construction industry, is the ratio between the plot area and the total built-up area allowed on it. This will help generate additional revenue, enable realtors to offer better housing stock and lower the prices of housing in the suburbs,” the Chief Minister added. Currently, an FSI of 1.33 is available in the island city, comprising south Mumbai, which has now been extended even to the suburbs. Besides bringing in annual revenue of around five billion rupees to the government, the move is expected to help reduce property prices in Mumbai — among the highest in the world — with more stocks of housing available, he explained. At present, realtors have been buying transfer of development rights (TDR) from the open market to increase their FSI to the permissible maximum of two. While half the amount generated out of the premium charged for the additional 0.33 per cent FSI will be deposited with the state government, the rest would go to the Municipal Corporation of Greater Mumbai (MCGM). In April 2008, the state government had decided to the modify the Maharashtra Regional and Town Planning Act (MRTPA), 1966, and Development Control Regulations (DCR), 1991, for granting 0.33 FSI in the suburbs, subject to payment of premium as per schedule. This was followed by the an amendment to the MRTP Act in December 2010, which empowered the state government and the planning authority to levy a premium on the grant of additional FSI. Here are a few tips that will help you in adding these beautiful plants in your garden. Grafting is an important part of growing cacti. Grafting is joining of two different plants so that they live as one plant. Of the two plants — one rooted in the soil is known as stock, the other part, which is joined to the stock, is called the scion. Roots of the stock supply water and mineral to the scion. The scion, normally being green in most cases assists the stock in supplying organic food to the roots. Thus, the stock and the scion help each other. Ensure that the soil mix is porous with good drainage. If the cacti are not winter hardy then put these in a green/glass house. Watering is required less frequently during winters. Watering once in a week is enough to ensure dampening of roots and keeping the plants from shriveling. Most of the plants rot because of excessive watering. Avoid the use of fertilisers. Try not to transplant or propagate cacti during the dormancy period. So grow cacti and enjoy the beauty of these gems of the plant kingdom. A two-day mega exhibition of cacti and other succulent plants being organised on October 29-30 by the National Cactus and Succulent Society of India (regd) is on at Punjab Kala Bhawan, Sector 16, Chandigarh.